One of the coolest tuning packages for the new Ford Mustang is the DUB edition prepared jointly by Ford, DUB magazine and ROUSH. Available for the 2011 Mustang V6, this package includes modifications for styling, interior and handling and is priced at $3,699. 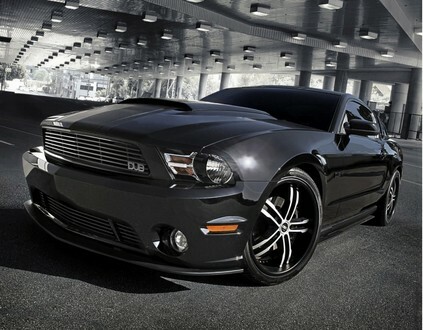 A ready to go Mustang V6 with the kit installed will cost around $27,000. What you get with the DUB package includes Roush body kit with front and rear fascias, Roush lowering module along with upgraded axles, DUB bespoke interior with lots of logos on the consoles and headrests, and unique exterior colors. So if you like the DUB lifestyle, get one of these. It’s very well priced.